Feel your heart pound as you jump behind the wheel of one of our Lotus Exige sports cars to drive around Queensland raceway at astonishing speed beside one of our driving coaches. Ever wanted to drive a high performance sports car around one of Australia's most exciting, adrenalin filled race circuits? 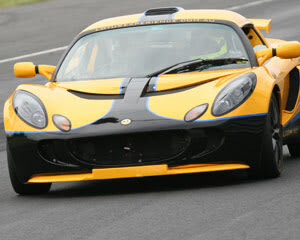 Feel your heart pound as you jump behind the wheel of one of our Lotus Exige sports cars to drive around Queensland Raceway at astonishing speed beside one of our driving coaches. This is where you will become a professional race driver for the day in one of our track prepared Lotus Exige sports cars. This experience is designed to give you a full day of in depth driver training with 1-to-1 coaching plus data analysis. Upon arrival you will be introduced to your personal driving coach. A comprehensive briefing will explain the principles of high speed super car driving and what to expect. It is then time to hit the track to familiarize and get comfortable with the racing lines. From here you will rotate through 5 more mind blowing driving sessions to improve your technique and work toward your best lap time. During the day you will be able to examine your performance against that of your coach via data to help discover the secrets to a truly quick lap! Expect to drive 6 x 10 lap sessions throughout the day! An intercom helmet will be supplied. I had a fantastic day at Paul Stokell's Lotus Experience. The staff were great, the cars and track were awesome and everything ran like clockwork. If you love driving and want to improve your skills while having fun this is the one to do. Peter W.
Absulutely awesome. Great fun, good functional equipment, good customer service. While driving to the limit, I felt safe at all times, even in the wet. I flew up from Sydney for the day, and it was well worth it. All staff were friendly and accommodating. The CEO Paul Stokell, was very approachable, friendly and helpful on the day. I definitley recommend this experience to others. The more laps, the more fun.